When it comes to digital marketing and AI, there has arguably been an awful lot of catastrophic thinking – with AI becoming the all seeing all doing digital marketing machine. Some have claimed that it will make our jobs obsolete, not only being able to perform repetitive data-based tasks but also creating and aggregating content. But how true really is this and is it actually a force for good in digital marketing? It’s true, AI is already playing a part in the digital marketing process – being used at several different touchpoints to better equip marketers with the essential information they need and free up more time for creativity. From research to distribution its effects are far-reaching and can be used to your benefit – to truly take your digital marketing to the next level. Below are the three simplest ways you can incorporate AI into your workflow. As we all know, research is key to any effective digital marketing strategy. Whether it’s getting to know your audience better, testing effectivity of ads for new products or aggregating insights from audio and video media. AI transcription services make this simple and easy, cutting down the time it takes to transcribe dramatically. AI technician from Trint, Will Abone explains how “Your media file is converted to a waveform. The AI then analyses the waveform to identify and match the language phonemes. What’s more, the transcripts can then be used for content – a quick and easy way to transcribe case studies, interviews or any interesting talks and get them site-ready quickly and simply. If you are an expert on the paid side of things, you would have more than likely heard of propensity models – if not then it might be something worth looking into. This clever use of AI maps customer characteristics with specific behaviours – churning out matches which are more likely to respond positively to an ad or offer. This allows us to predict purchasing trends and behaviour patterns we can then integrate into our strategies at a foundational level. Say, for example, you’re looking to launch a promotion code but do not want to send it out to your whole database. Using a propensity model you can look to filter down to those that frequently shop with you, spend above a specific amount and sit within the age range of the campaign target demographic. By doing this you can deliver a promotion which suits them more e.g. 30% off of trainers for those who buy a pair each season, with imagery and content which speaks to them on a more personal level. You’ve most likely used one as a consumer but have you ever thought of using it for your business? 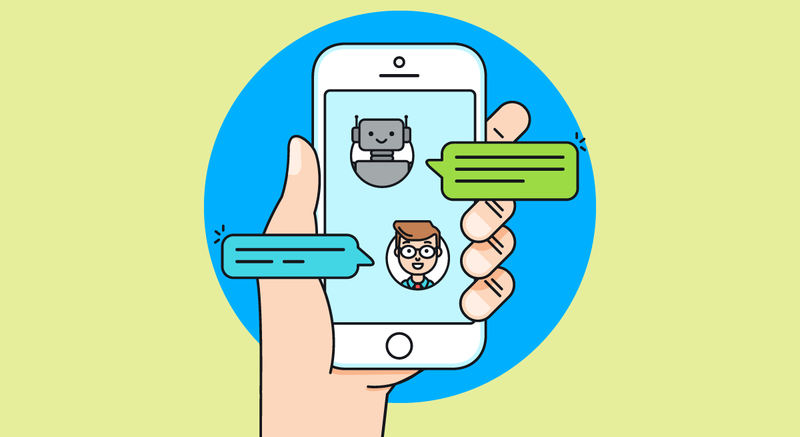 AI chatbots have been around for a while now and are getting more sophisticated as the technology develops. The automated service operates with a defined set of rules and parameters, answering basic questions and performing tasks such as taking bookings. From a user experience perspective, this allows you to have ‘people’ on the ground for your customers to speak to freeing up more time for creativity and forward strategic planning. If a chatbot makes the purchasing or booking process smoother having it onsite is a digital marketing tool in itself – encouraging users to come back. There are plenty of companies out there which can help you build this for your website, such as BotsCrew. Of course, there is the danger the AI does go too far – but it’s a risk digital marketers are willing to take. As it stands, AI is a great tool which we can use to better and streamline our process. And one thing we do know for sure, AI will find it hard to fully replace a human ‘soul’ or imagination. The creative side of digital marketing is safe with the opportunities for our understanding of our audience and rate at which we can create content only set to increase – AI doesn’t look so bad for digital marketing afterall. This is a guest post written by Jade Attwood who works with Trint – an AI-powered audio/video to text converter which is revolutionising the way we transcribe.